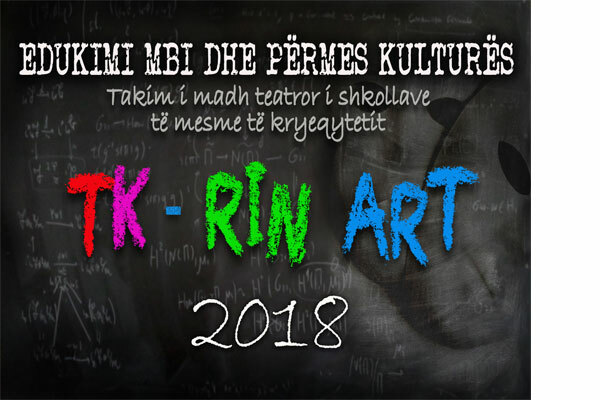 The National Theater in cooperation with the high schools of Tirana, presents to the public the Artistic Calendar of the Festival of Theaters "TK-Rin Art 2018". With the directors Benada Mulla, Giuliano Brisku, Algiona Aga, Kriks Dumo and the supervision of the artistic directors, some of the well-known works of world dramaturgy that will be interpreted by young talents will be added to the stage. Theatrical performances prepared by Sami Frashëri, Harry Fultz, Sandra Prosi, Petro Nini Luarasi, Abdulla Keta and Ismail Qemali high schools will be played on the National Theater scene from 26 until March 31, at 13:00.